Arrived here at Casa Roan. Very quaint farm house converted to lodging. Massive stone building. Nice in summer, but would be cold and damp in winter. They just serve what they have for the day. We had stewed lamb. I never eat lamb. But no choice and I am hungry. Actually, quite good. On May 19, 2016 4:55 PM, “Creative Travel” <agenciacreativa@telus.net> wrote: Thank you. All received. John. I think Morgade is a very nice stop. In the middle of the countryside. A very good break for people not in a rush to get going. Family operation. Very friendly people. Would definitely stay here again. Not a 5 star hotel but homely. Food is good. Arrived in Portomarin. Quite a big town. Again hotel is small but always clean. Walk to here was easy. We’re taking it very slowly. Hi there, Just taking a rest right now on our Camino walk. It’s all going very very well and the weather is just incredible. Daytime has been a very temperate 22°C with lots of sunshine. My father and I are enjoying the walk very much. 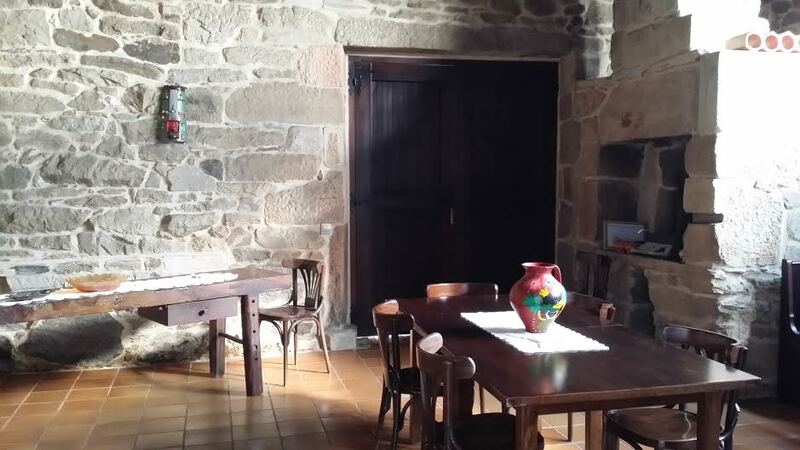 We stayed last night at the new hotel that you helped to organize – CASA CORREDOIRAS. Just to give you our quick impressions: this was by far the best place with great hospitality.Thanks again,Han. Arrived here safe and sound. The climb up the mountain was not too bad. Glad we had training while in Vancouver. Very texting for Margaret. Cold,windy, misty and raining here. Hopefully, the weather will be better tmrw. In Ponferrada now. Walked around town. People are very friendly. Planned exit route for tomorrow. Here, breakfast is included. Place is clean. Bathrooms had complete reno. Raining on and off today. But not pouring. Weather is cool. The Parador of Leon is magnificent in every way. Their breakfast is excellent. Perfect pick. I would recommend this to everyone. Met lots of pilgrims going on the Camino already. On the train from Barcelona and more so around town in Leon. Lots of Camino paths in Leon as well : yellow arrows and the shell. We followed those to the cathedral and basilica. Weather is perfect. 12 in morning, @20 in afternoon. Hotel is close to metro. We take metro everywhere. Went to La Rambla yesterday. Watching Children’s choir at the Montserrat. Helen. Barcelona hotel is clean and central. Went out to get fruits and water. Breakfast included. Will be going to the tour tomorrow. Got my Sim card at the airport. Cheap €15 for 60 minutes +1.5 Gb data. All set to go. Helen. This Peregrina has a special reason for visiting the Camino. She is the head of a Conservation Foundation, they are there to shoot a documentary promoting their Worldwide Green Programme. We assisted in their arriving at St. Jean, follow the Napoleon Way over the Pyrenees to Roncesvalles and continue onto Pamplona. It is nice and exciting to hear that they are meeting with success along the way to Santiago. 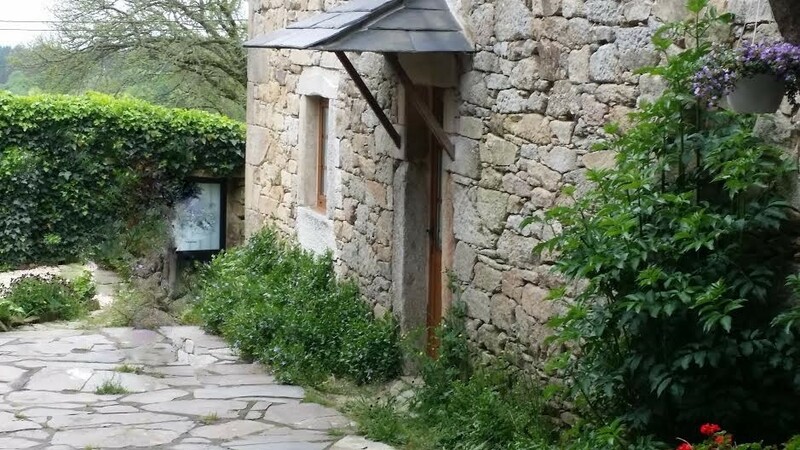 —–Original Message—– From: Sharon V.
The following is an update received from two of our late season peregrinos currently on their way to St. Jean to start their walk to Finisterre, close to 900K away. The weather is cooperating so far and the Fall colours should be spectacular along the Napoleon Trail from St. Jean to Roncesvalles. Our second group of late season peregrinos will be departing Canada on 2nd October and will commence the walk from the beautiful Monastery at Samos to Finisterre and return to Santiago in time for the Pilgrim Forum in Santiago the weekend of the 16th October. They will be experiencing the beautiful Autumn Leaves of the Camino Frances and comfortable walking weather. Buen Camino. Barcelona was beautiful!! Presently in Pamplona to catch the bus to St Jean. Thank you for the info from Tim. Thank you again for all your help. All is going so well. Another of our pilgrim email us from the Camino. At the moment of her email She was getting Sarria, walking from Sahagun. —–Original Message—– From: Marisa E.
It was fantastic and i loved casa navarro! One of the best places i have stayed on this trip. It was perfect. from o cebreiro to triacastela the weather turned out ok so had a great trek today.